President Dmitry Medvedev expressed confidence Wednesday that a looming ban on Finnish meat and dairy goods would be lifted within two weeks and won support from Finland's president for visa-free travel for Russians. Medvedev and Finnish President Tarja Halonen also discussed the rights of Russians living in Finland as they wrapped up a two-day visit in Naantali, a popular tourist town 14 kilometers west of Turku, and the Kremlin leader went swimming in the Gulf of Finland. Medvedev said a ban on meat and dairy products from 14 Finnish producers, which is to take effect Friday, was "technical" and stemmed from Finland's failure to comply with new customs rules. "I do not think that this is a serious problem," Medvedev told reporters, adding that he had eaten a lot of "good, fine" Finnish products while living in his native St. Petersburg "and haven't fallen ill yet." "But we have changed the rules some time ago, and we told our Finnish friends already a year ago that they needed to change how they trade with Russia," Medvedev said, Interfax reported. "These are technical points: all kinds of forms and regulations that need to be filled out a little differently." The Agriculture Ministry's safety watchdog banned animal-based products from 14 plants effective July 9 for unspecified violations of sanitation norms, but last week it lifted the ban until July 23. Among the companies caught in the ban is dairy producer Valio, which has four factories on the blacklist. Medvedev called the ban an "absolutely normal trade issue" and said it should not be politicized. "I hope that this matter will be closed within the next two weeks," he said. 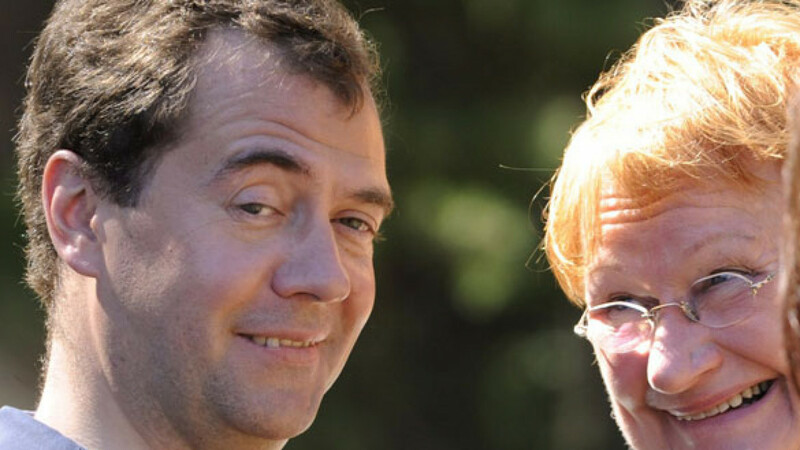 Medvedev, making his case again for visa-free travel for Russians to the European Union, pressed Halonen to "convince" countries that are "hesitant" to open their borders, RIA-Novosti reported. Halonen, speaking at the same news conference, said Finland would do "everything possible" to promote the visa-free travel of Russians to the EU. Halonen also said Finnish laws were being changed to allow Russian nationals living in Finland to obtain residence permits for their elderly parents. The amendments were triggered by an outcry over the deportation last month of Irina Antonova, 82, who had lived with her daughter in Helsinki for two years. Addressing mixed Russian-Finnish marriages, Halonen said Finland might negotiate a bilateral treaty regulating the rights of the parents in those marriages. "It is very important that authorities in Russia and Finland treat mixed families equally, without discriminating against anyone," she said. Turku authorities in February removed a 7-year-old boy from a Russian-Finnish family and sought to strip the parents of their guardian rights after the boy told his classmates that his mother had hit him and that he might move to Russia, RIA-Novosti reported. Medvedev and Halonen also discussed European security and trade relations, the Kremlin web site reported, calling Finland "a priority business partner." Bilateral trade has swelled by more than five times over the past decade, the Kremlin web site said. Medvedev, meanwhile, urged Finland to work with Russia in cleaning up the Baltic Sea. "The water was good yesterday and today," he said in response to a question from reporters who knew that he had planned to go for a dip in the Gulf of Finland, Interfax reported. But the condition of Baltic Sea as a whole "is worse than it used to be," he said. "I have always been tied to the Baltic Sea," he said. "I grew up on its shores."